It’s always a pleasure to work the most established events singer I know, Mr Stephen Bayliss! I have worked with Stephen on countless events over the last 10 years from ‘high end’ weddings to company celebrations, charity fund raisers, Christmas parties & other black tie events. He has never failed to ‘WOW’ his audience, making it a truly special & memorable event. Stephen’s Story… Stephen Bayliss has been entertaining people for over 30 years. His unmistakable voice and charisma has seen him deliver over 1,000 performances across the UK and Europe. His specialities are corporate events, weddings and celebrations where he commands the audience from the minute he takes the stage. 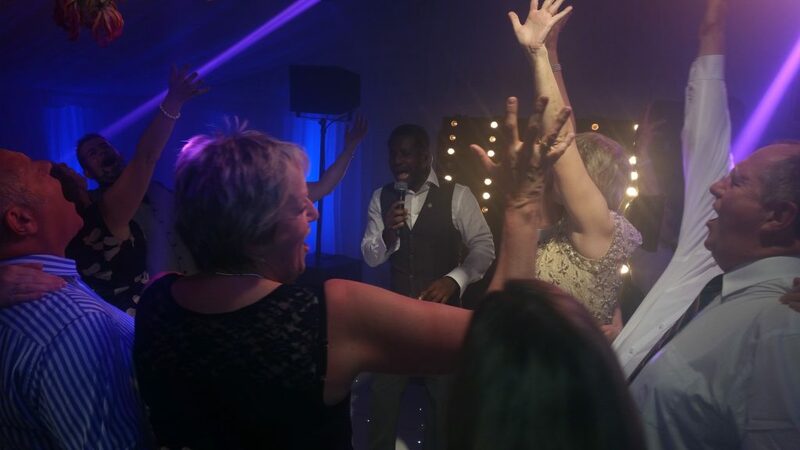 Stephen’s trademark of never being ‘on stage’ sees him mixing with the audience, dancing and entertaining until everyone has had the most amazing time. Book Stephen for your next event and you will not be disappointed. For bookings & enquiries, please contact andy@andybevents.co.uk Prices on application. Steven Gerrard – Brilliant, I asked him if he was free to do my wedding, but he was booked – Gutted! Dina Carroll – Stephen supported me at the Lowry & I couldn’t thank him enough, he got the applause he deserved! Carolyn Main – just wanted to say how brilliant Stephen was, we were at the valentines dance at Hesketh Golf Club. It was the first time I have seen Stephen perform & was absolutely besotted with him as was every other woman in the room! What an amazing voice & stage presence. David Moyes – I had heard the rumours & let me tell you, Stephen was better than I imagined, Superb! Lucy Meacock – I never even sing in the bath but somehow Stephen brought it out of me! Alan Hanson – Absolutely fantastic, can’t believe I saw him at a corporate event, he could grace any stage in the world! Michael McComb – What a talent, some of Stephen’s versions outshined the originals, what an atmosphere!